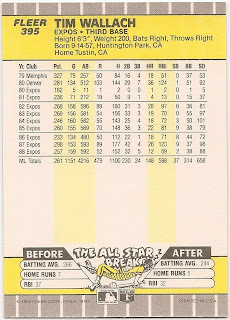 Card Review: 8.9 This set was a solid effort by fleer. While not the most exciting picture in the world, I'm always a fan of Montreal's red spring jersey. 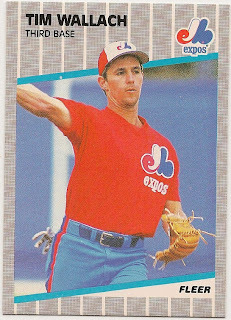 I just wish Fleer had cropped this card a little better, moving Wallach more to the right so his throwing arm extended above the blue line the way his head does. 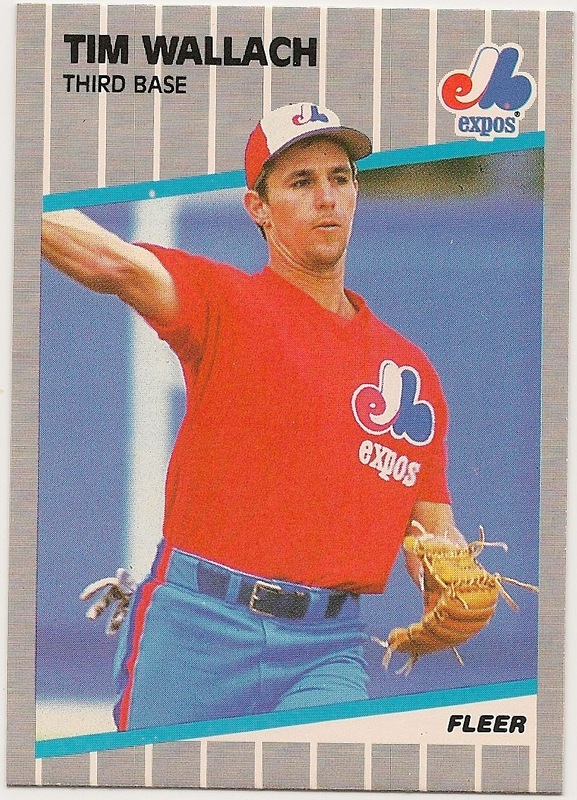 Some of the best cards from this set are the ones where the player is cropped out above that blue line, the Will Clark immediately comes to mind. 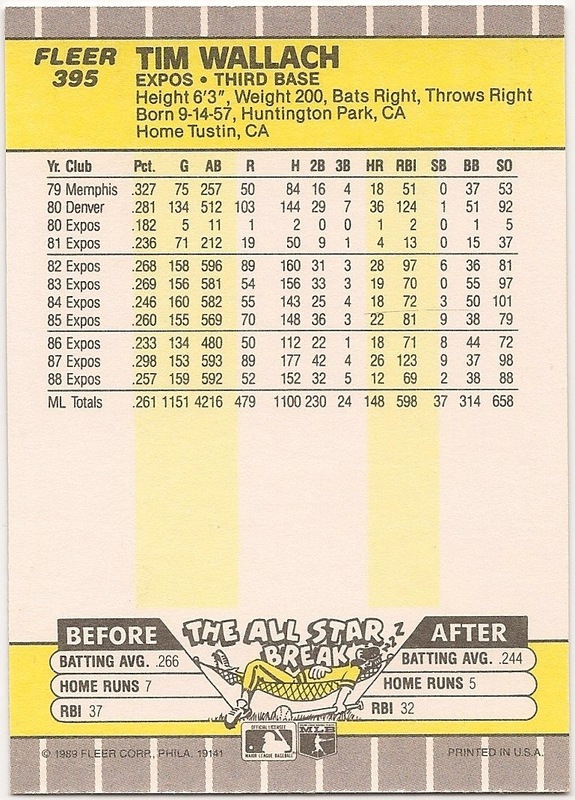 Fun Facts: *The Expos lost 1-0 to the Dodgers on August 23, 1989 in a 22 innings game.